​Why do Rhinos keep losing their horns? Rhino horns are valued in a number of cultures and command a price from people who think these horns give them power and extraordinary strength. Because of this, the problem has escalated. How Did the Rhino Lose its Horn? ​I know how the rhino got his wrinkles. My mother told me. When Rhino was very small, he slipped into the kitchen and saw a big cake on the counter. He ate it but without good hands he got crumbs all over himself. Because the crumbs were all over him, he started to itch. He itched so much that he got wrinkly. So that puts that mystery to bed. ​But how did the rhino lost his horn? No fairy tale here. Just a horrible story of greed. Men in countries that think the rhino's big horn has magical properties, hire impoverished locals to butcher the rhinos and get their horns that now there are almost none left. It's literally worth its weight in gold. The horns are powdered and mixed into potions and elixirs that promise if not eternal youth, at least a sustained virility. The rhino horns do nothing. It's just medieval quackery but the disappearance of this incredible specie is not a fiction. 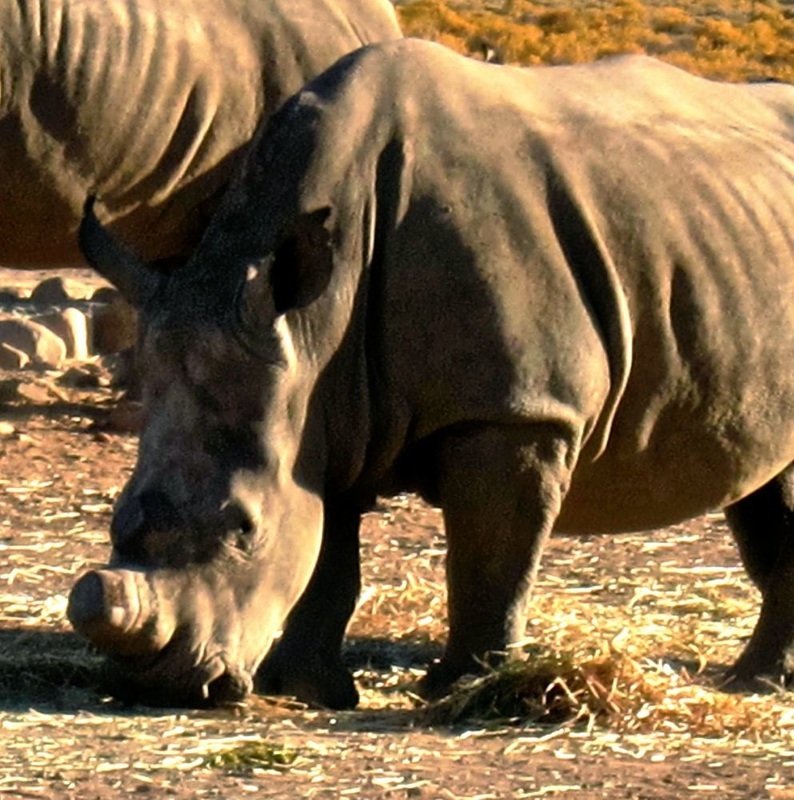 Why are Rhino Horns so Valuable? Some cultures value rhino horns for its beauty when carved. Horns are especially carved as knife handles and Yemenis, in particular, think highly of daggers with rhino horns in its handles. They consider these daggers more powerful. Because of its translucence as it age, rhino horns are also made into accessories such as buttons, belt knuckles, and hair pins. Ground into powder, for centuries, cultures in China, Vietnam and Malaysia believed in the rhino horns medicinal value. It was thought to heal many ailments even gout, snake bites and devil possession. The ancient Greeks used rhino horns to purify water. Persians believed the horns can detect poison. Even though Science today has prove these wrong, people persisted in their belief. Some even believed in its value as aphrodisiac. 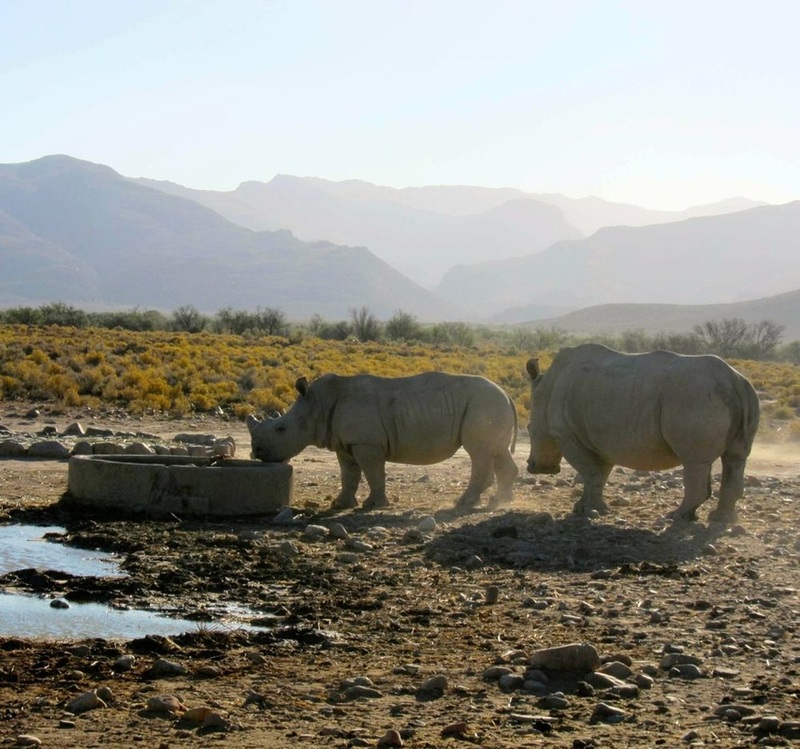 ​We first learned of the seriousness of this current problem when we stayed in a game reserve in the Western Cape. On the first day of our stay, the reserve heard that some rhinos had been harmed in the neighboring areas quite close to them. This news made the guards and guides busy. They took turns to stay up at night to watch the rhinos. But with so many acres to watch, it is almost next to impossible to catch these poachers. These rhino poachers use aggressive tactics to get hold of horns. They are willing to kill. They know their trade well. They know how to go about it and just where to find the rhinos. They make vigils and are quite willing to return over and over again until they get their price. 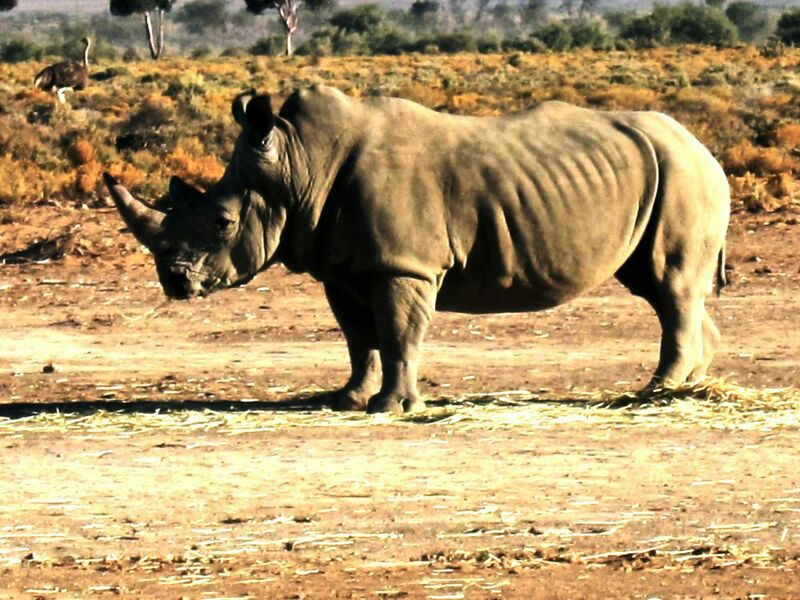 The most number of rhinos live in South Africa. The latest data released by the government of South Africa is around 20,700. So the problem of poaching is largely here. Of these, about 1367 had been poached from 2008 -2012. Looks like the poaching peaks at around Christmas and January. On these months, the game parks are really on their guard. In South Africa, the most number of rhinos poached are in the Kruger National Park. This is such a beautiful park. It is unimaginable how greedy people can to do such horrible things in here. This is where most of the rhinos in South Africa live, Mpumalanga. Look at how beautiful Mpumalanga is. No wonder the rhinos love it here. 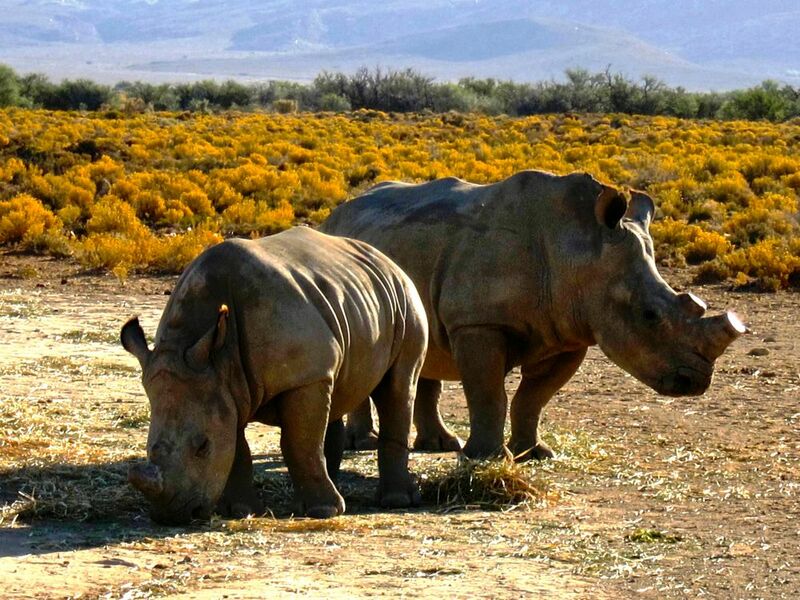 What is Being Done About Rhino Poaching? To protect the rhinos, the game reserves color and poison the horns but these have not stopped the poachers. The reserves also make the horns x-ray detectable but definitely this has not stopped these aggressive poachers. 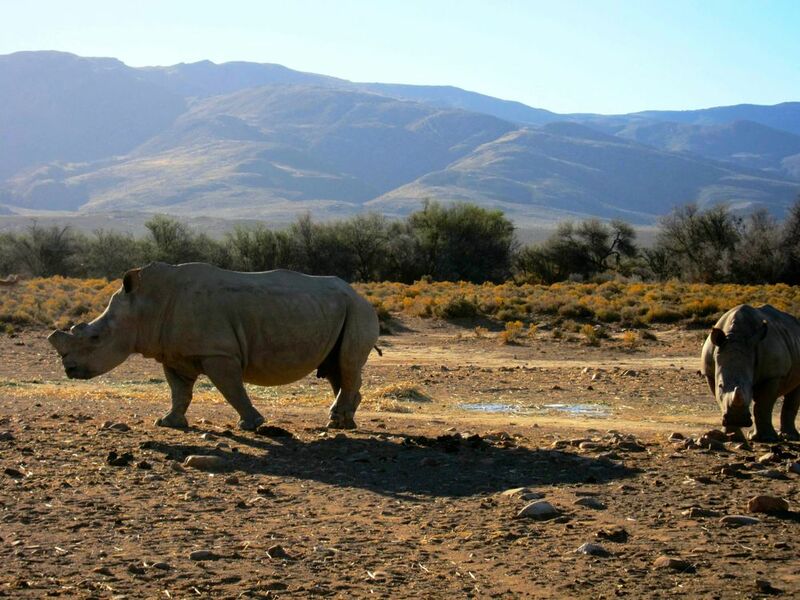 The government and several non-government organizations are working hard to stop rhino poaching. They do training of patrols at game reserves, gather information, recruit and train informants and intelligence persons and educate the public. They also have networks to share information, training and resources. They monitor and publish data around number of rhinos poached, number of poachers brought to rial and other information to move people to support the organizations stopping the poaching. When I was in Vietnam, I would sometimes read in the newspaper of some rhino horns confiscated at customs. There are voices working hard to educate people of the lack of substance of their long held belief of the power of rhinos. Hopefully, this group will eventually succeed in erasing this wrong assumption of the health benefits of rhino horns. 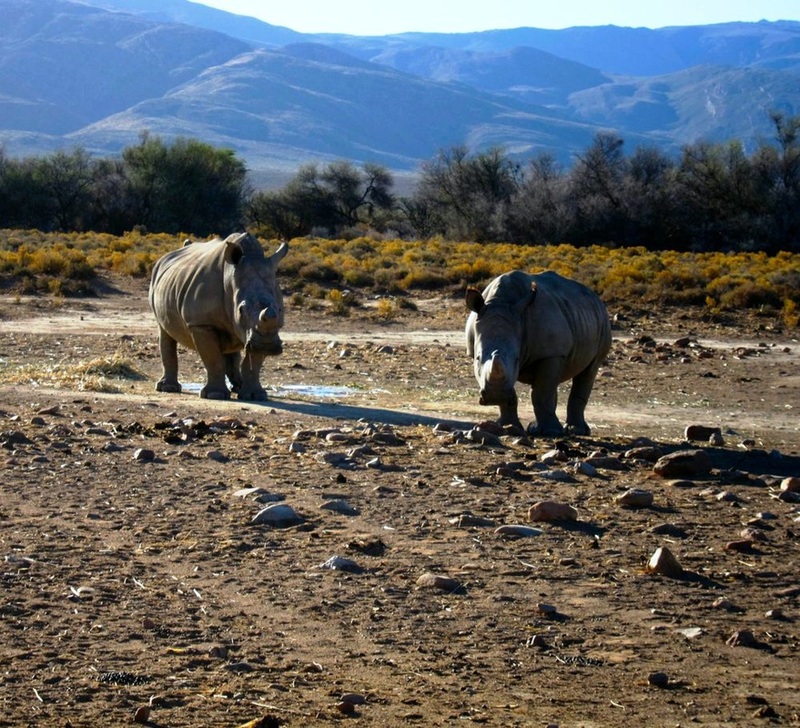 ​We visited Inverdoorn, a rhino sanctuary in the Western Cape and listened to some of the game park guards of their experience around rhino poaching. We saw the rhinos there who have been rescued from these poachers.